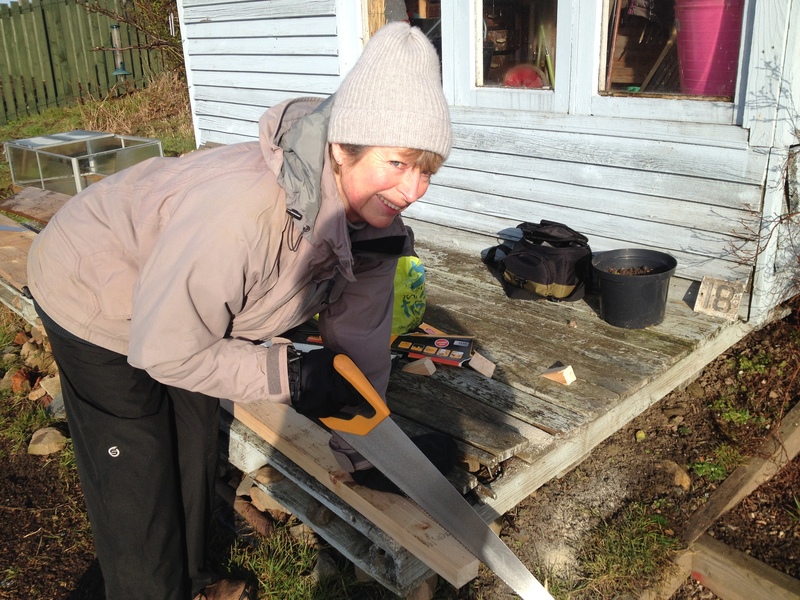 After all the snow and ice we’ve had lately, I was eager to get up to the allotment yesterday to build the much discussed and long awaited raised bed no.5. It will be used exclusively for cut flowers this spring / summer and will sit alongside my four other beds which I use for growing vegetables. Step 1: make sure you have all the necessary equipment (outlined above). There’s nothing more frustrating than being ready to build and then realising you’ve forgotten your hammer. 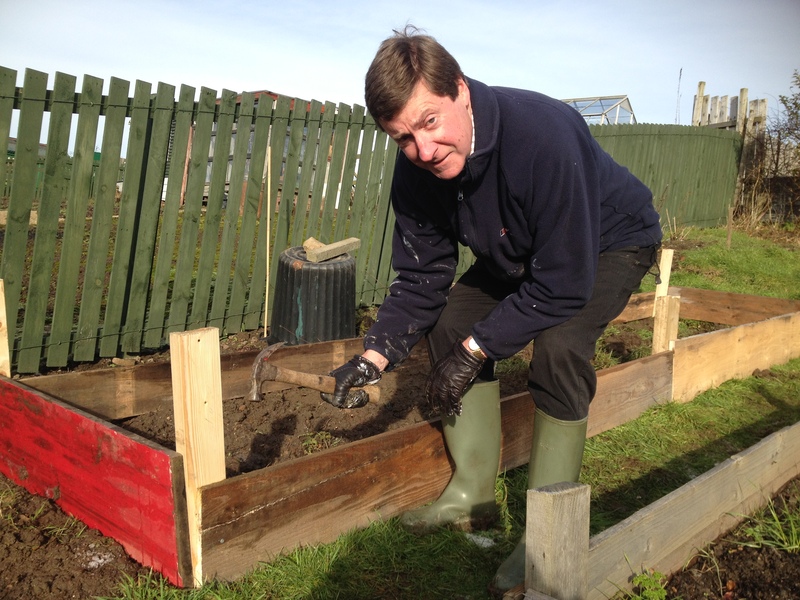 Step 2: take some canes and stick them in the ground to mark out the perimeter of your raised bed – take a piece of string and tie round each cane. This will help ensure you have straight lines. Position your corner posts beside each cane and dig a trench approximately 1 to 2 inches deep from post to post along the marked edges. Step 3: using the big hammer/mallet, hammer post 1 into the ground. Align the second post using the string and hammer in. 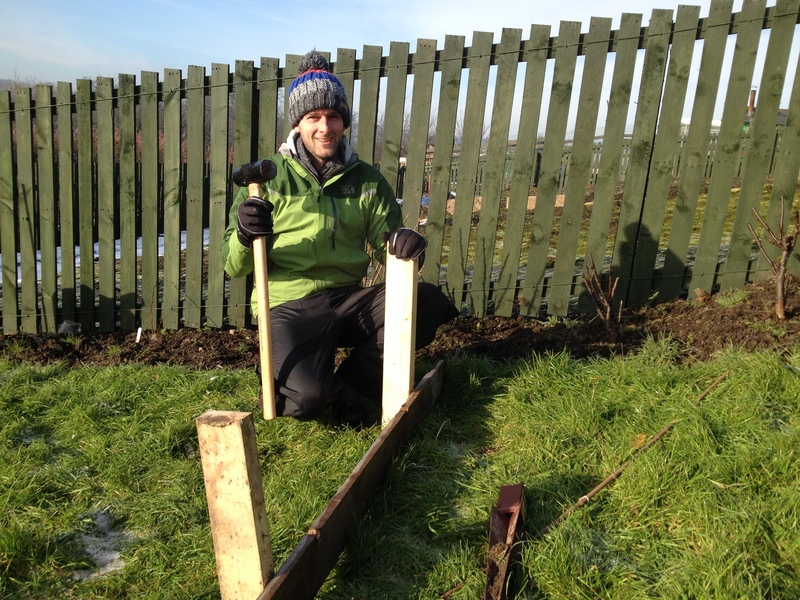 Take a 2.5m length of wood and hammer into your posts with a long nail to ensure alignments. Progress to the third post, hammer in, and replicate with 2.5m length and nails. Step 4: do the other side in exactly the same way (make sure your two top posts and two bottom posts also form a straight line. Hammer in your 1m lengths to complete each end. 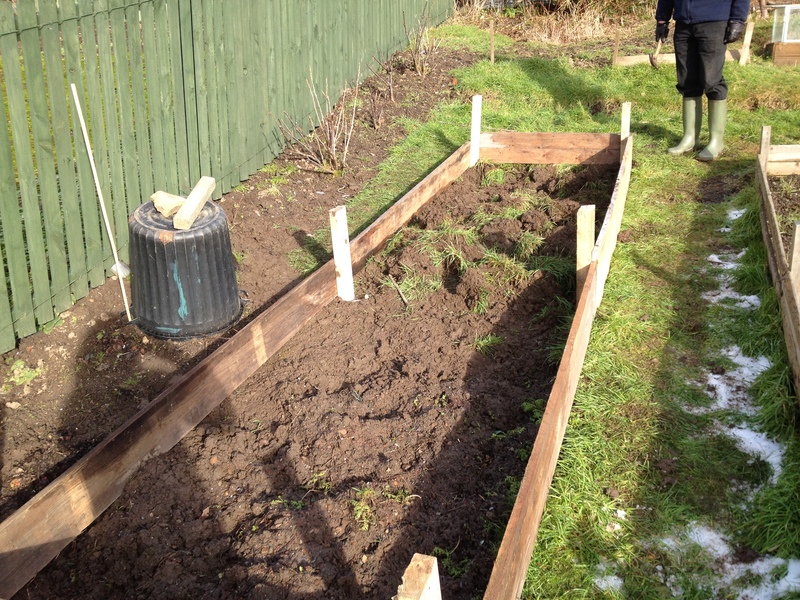 Step 5: you should now have a raised bed. Now all you need to do is fill it with compost and you are ready to go!